OA Victoria organized a two-night 'Omnium' event at the Westshore Velodrome, inspired in part by Canadian Olympians Tara Whitten and Zach Bell, who finished 4th and 9th, respectively at this event! 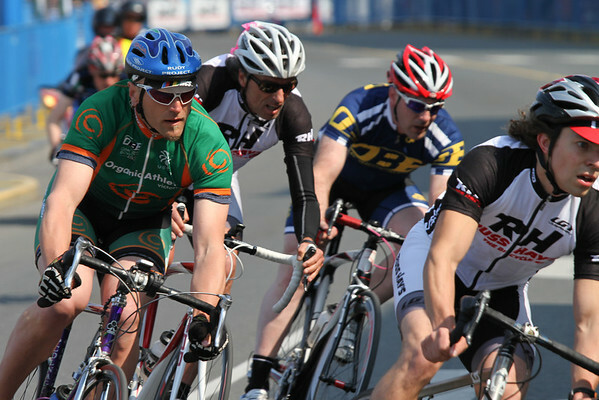 The Omium is a two-day event, featuring six events: the Flying Lap (333m in Victoria), the Points Race and Elimination Race on the first day, and the Individual Pursuit, Scratch Race and 500m/Kilo on the second day. 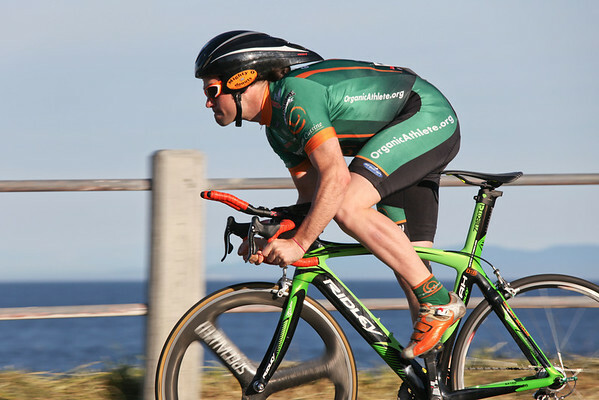 It's an excellent test of a well-rounded racer, challenging endurance and sprint capabilities with bunch racing and efforts against the clock. Series points are based on results, so if a rider wins all 6 events, they get 6 points. Lower point totals are favorable in the series scoring. We're happy to welcome a total of 45 riders and members of the Greater Victoria Velodrome Association, and a highlight is that over 30 were Junior riders, and three were as young as 13! 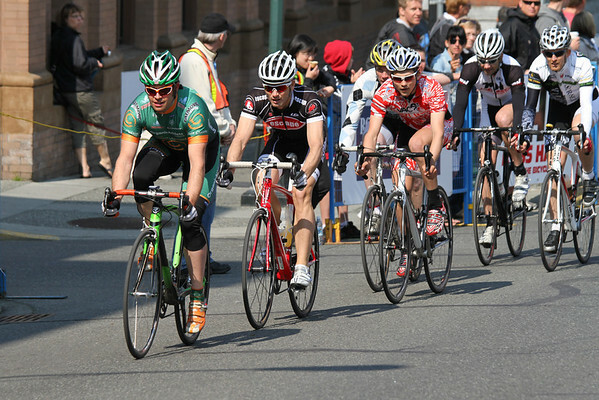 For simplicity, we had three main groupings, as A, B and C racers, with the A's riding longer distances in most events. For the Overall C field, our Omnium Champion was Tarryn Cote(VAC-ProCity), who tied fellow junior teammate John Willcox(VAC-ProCity) with 15 points, but the tie was broken by their Pursuit times, and Tarryn came out ahead! Brodie Hay(MIVA) finished 3rd, not far back with 20 points. 4th & 5th also saw a tie in points, but Rachel Carey(Tripleshot)'s faster Pursuit time put her in a higher placing than 5th place finisher Isaiah Green(VAC-ProCity). It's worth highlighting that Tarryn's finish has inspired her to go and race at the Canadian National Track Championships in September! The B field was also a very tight competition, and made for some very animated bunch races, but Alex Amiri(Russ Hay's/Accent Inns) finished in the top 4 of each event, including two wins leaves his points earnings of 13 just the right amount for a 1st Place finish and B Champion! Fantastic effort from a new rider. 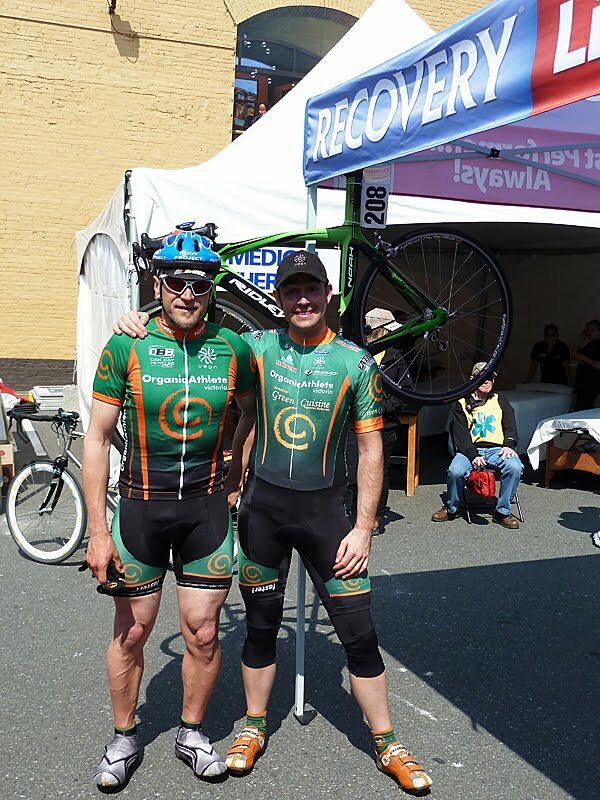 Logan Simonson (who we first met at the Durian Cup MTB race organized by OA Victoria!) was his main competitor, only 3pts behind for 2nd. 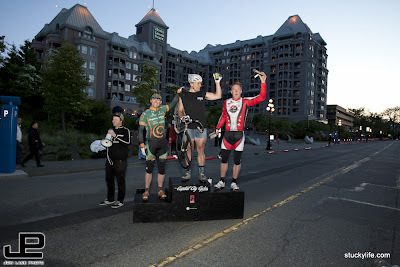 Velodrome patron saint Dr. Wayne Walker(Dr Walker Sports Chiropractor) rounded off the podium with 3rd. Duncan Grant(Tripleshot) and Logan's pop Eric Simonson(Tripleshot) were just a few points behind the good doctor. 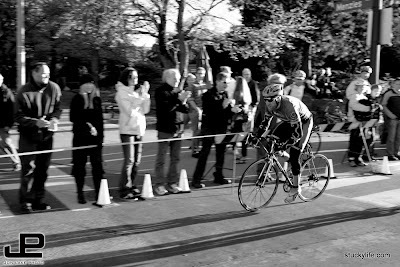 The A field was clearly a battle between Tom Malczynski(ProCity Racing) and track veteran and former long-time OA racer Emile De Rosnay(Russ Hay's/Accent Inns) - after Day 1, there was but 1 point separating the two riders. 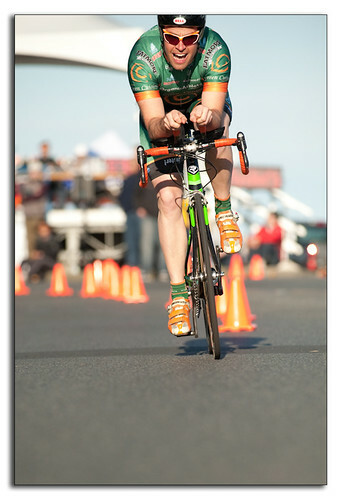 Day 2 tho saw Emile win all three events, and so ensured the overall title of 2012 OA Omnium Champion! 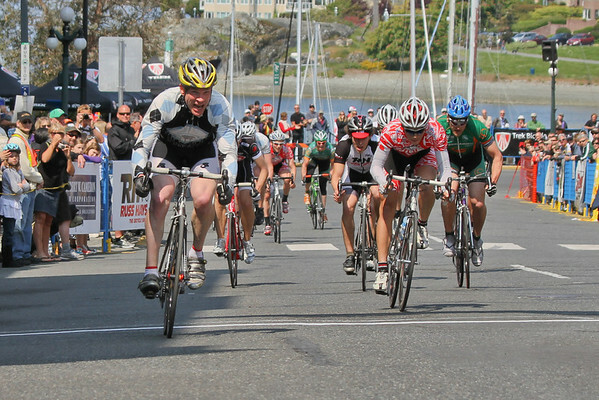 Tom kept him honest in his finish for 2nd, 3rd-5th was separated by 3 points, but the final tally saw Evan Carey(Pacific Cycling Center), Alex Hui(ProCity Racing) and event organizer Dave Shishkoff(OrganicAthlete Victoria) repectively. Evan also holds the distinction of being the top Junior-Male rider. Once again, congratulations to OA Omnium champions Tarryn, Alex and Emile - good luck at the Provincial Championships! Thanks so much to Steve Lund and Lister Farrar for helping put this together, and to all our volunteers: a small army of people helped with scoring, timing, holding, flipping lap counters, and other odds and ends, and we're grateful for their help. 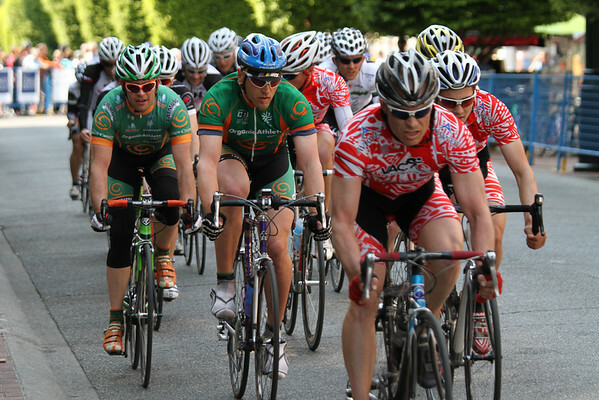 Also, a big thank-you to OA Victoria sponsors Purica, Sarah's Place, Oak Bay Bikes, Green CuisineVegetarian Restaurant, Equinox Health Clinic(welcome, new sponsor!) and Vega for providing prizes. 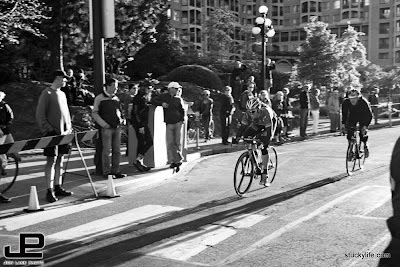 Our next events will be the Junior Time Trial Championships of the Universe (co-sponsored by VAC-ProCity) on Sept 9th, and the 3rd Annual Save-A-Turkey Trot 5k fun-run will be in early October.